The Read House Historic Inn & Suites is just moments away from the Tennessee Aquarium, restaurants, shops, Creative Discovery Museum and the Hunter Museum of Art. For those who are more adventurous why not go kayaking or white-water rafting on the Ocoee River. Tastefully designed comfortable rooms feature exquisite architectural details and historic charm, ranging from 32 – 89 square metres and are suited to couples, families, leisure and business travellers alike with a modern indoor pool, lovely sun deck, Starbucks and restaurant, for a convenient and comfortable stay. 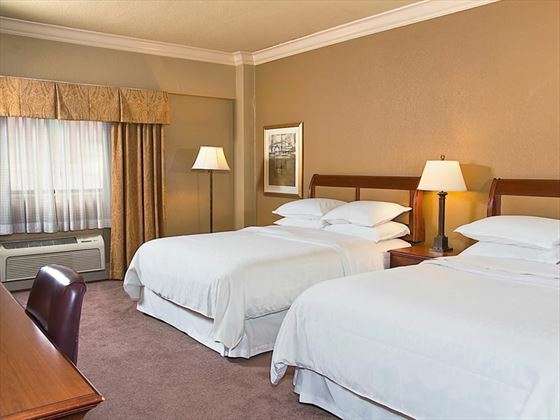 Situated in the heart of downtown Chattanooga, just moments away from the Tennessee Aquarium, Creative Discovery Museum and the Hunter Museum of Art. Starbucks- serving a variety of hot and cold drinks and a range of hot breakfast sandwiches. Double Tree by Hilton Chattanooga Downtown is in the heart of Tennessee where scenic strolls through the city await as you will be surrounded by two lakes and mountain vistas. The Chattanoogan is in the heart of downtown Chattanooga with stunning views of Lookout Mountain. Chattanooga is known as the "undiscovered gem of Tennessee" and it offers something for everyone. 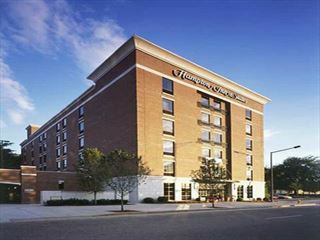 Hampton Inn & Suites Knoxville-Downtown is located in Knoxville's historic downtown district where you can experience locally owned restaurants and a range of different attractions.